We had to "over-engineer" this pool due to the large amount of ground water. A drainage system under, around and behind the pool is tied to the city storm sytem. 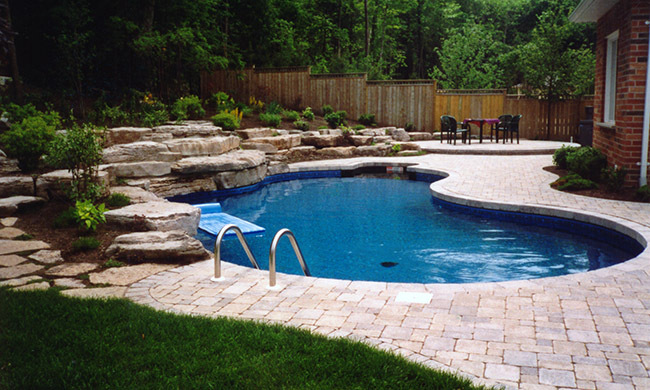 Water is the biggest enemy in a Canadian landscape installation. Nonetheless, we are pleased with the way that it turned out.